I got it installed and transported Genesis to Poser. Here he is with Tyler GND. Doing a happy dance!! Many thanks to Daz and SM for making my dream come true! 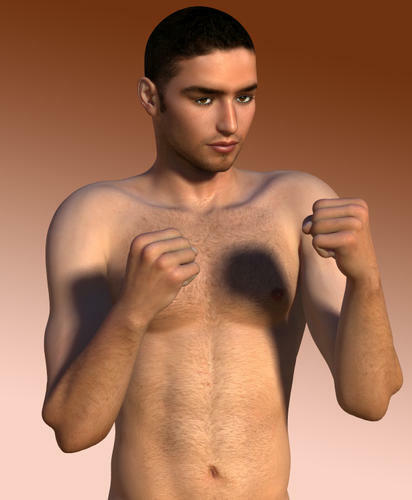 Just tested the new DSON Importer for Poser, in PP 2012, it's cool! Didn't have a single problem when testing it. Can't see any other content than that which is in Genesis Starter Essentials though, even though it seems to use the DAZ Library. Well I give up lol..I have installed and uninstalled and did everything instructed to do but the figure will not show up in my work space..*sigh* :(..
Just was not meant to be I guess.. I have Poser 2012 sr3 ...but not working for me ..any suggestions?? Where did you install the Genesis Starter Essentials and Poser Companion Files? Thank you so much Ann I have not tried that and I will certainly do so! I am excited about being able to use Genesis and want this gadget to work. PLEASE NOTE: There are a lot of PAs who have done DS/Poser items (characters) and many who have updated items to work with this (clothes and characters) as well. Be sure to look at your purchases as you may find you have quite a bit that will work in Poser after doing some resets or by using V4 SSS mats on Genesis etc. Plus, I've installed the Starter content, but there's nothing new in my library yet. Any ideas? 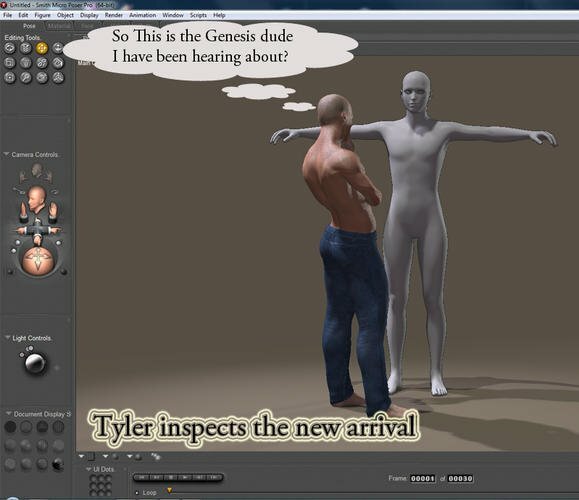 I'm looking forward to toying around with Genesis in Poser! Thanks for responding! No such luck, though, at least for me. I did mistakenly install DSON before SR3, but I quickly rectified that by installing SR3 and then re-installing DSON. Oddly enough, I got no DLL error in SR2. Of course, the plug-in didn't do anything (still doesn't), but still, I thought that might be noteworthy. I downloaded the second of the two downloads (that's the right one for 64 bit systems, right?) and rebooted my computer. No change. Just tested the new DSON Importer for Poser, in PP 2012, it's cool! Didn't have a single problem when testing it. Can't see any content than that which is in Genesis Starter Essentials though, even though it seems to use the DAZ Library. Thread was merged with the main DSON thread. Try to click the Render tab, and then back to preview again. i poet the esentials in a seppered map,becos the installer and i dont know ware to poet them,,so i have a buns of maps 12 and i dont know ware to poet them.by hand?? Content should not be installed to Program Files or Program Files (x86). Are you using Poser 9 or PP2012 with SR3? Nice to know! I doubt Genesis will replace Gen4 for me just yet, but there are times it would be nice to use--M5, particularly, and hopefully soon Luthbel's sets. How long will the stuff that's on sale be on sale? That's a joke, btw. Congratulations, DAZ!!! And you installed both the Core and the Poser Companion Files? Why doesn't this work in my Poser Debut? !